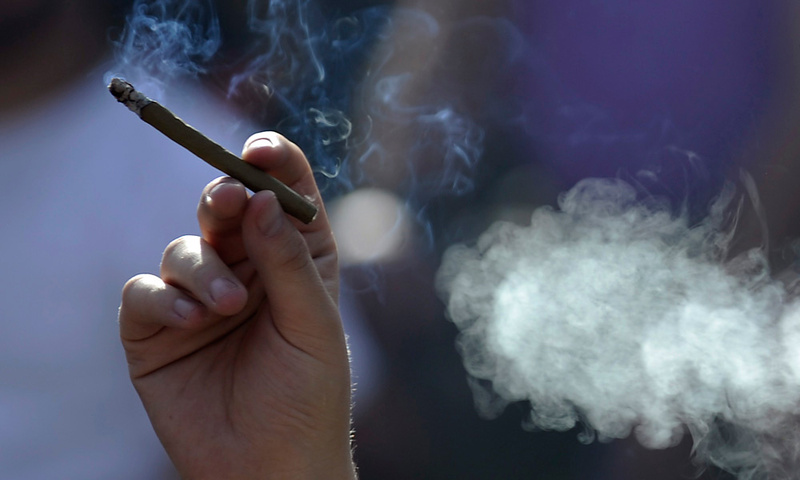 Are there risks from secondhand marijuana smoke? The inspiration arrived in a haze at a Paul McCartney concert a few years ago in San Francisco.”People in front of me started lighting up and then other people started lighting up,” said Matthew Springer, a biologist and professor in the division of cardiology at the University of California-San Francisco. Recreational pot was not legal yet in the state, but that stopped no one. “Paul McCartney actually stopped between numbers and sniffed the air and said, ‘There’s something in the air — must be San Francisco!’” Springer recalled.As the visible cloud of pot smoke took shape, so did Springer’s idea to study the effects of secondhand marijuana smoke. In the lab, Springer puts a cigarette or a joint in a plexiglass box. Then he lights it and lets the chamber fill with smoke, where an anesthetized rat is exposed to the smoke. California’s Proposition 64, approved by state voters in 2016, requires that some of the state tax revenue from the sale of marijuana be distributed to cannabis researchers. In addition, the state’s Occupational Safety and Health Standards Board is examining workplace hazards that are specific to the cannabis industry.